One of the hardest things to cope with in the story of British Home Children is that sense of loss at being separated from family. Now I have no idea whether my great uncle Roger was in regular contact with his two brothers one of whom was my grandfather, and I can be fairly certain that he never wrote to his father. All of which leaves his mother and his sister. His mother remains a shadowy figure who if I have this right had only a temporary grip of reality in later life, and certainly when her children were growing up was at one point deemed “unfit to have control” and this may account for great uncle Roger choosing his aunt as his next of kin when he enlisted in the Canadian army. 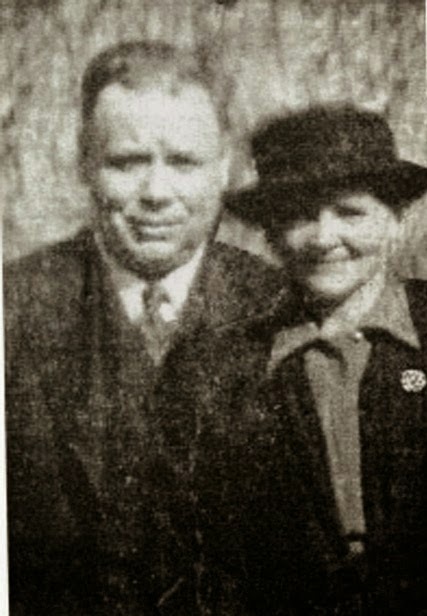 She was born in the Derby Workhouse in 1902 and in 1925 he helped persuade her to leave Britain for Canada. In one of her letters great aunt Laura wrote that he persuaded her to join him and I guess she may well have done so using the Empire Settlement scheme which aimed to migrate large numbers of British women as domestic servants. He was most insistent that she should go and may have helped with money, but by the time she set sail he had moved west and in her own words she didn’t fancy the wilderness and eventually settled in Ontario. In time she married and raised a large family some of whom I rediscovered while looking for great uncle Roger. And there is both the upside and downside of this BHC story for while she appeared to stay in touch we have lost him and I doubt that we will ever uncover what finally happened to him. But in the process of looking for him and rereading her letters written in the 1970s and came across my Canadian family which has sort of reunited us. Sadly I never met my great aunt although she did come to Britain in 1968 returning to Derby where she must have met my grandparents and her other surviving brother but for reasons I can't fathom I was either not told of the journey or it has slipped from my memory. Such are the ups and downs of BHC stories.